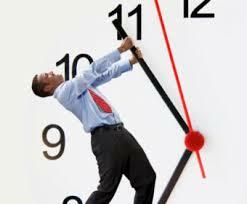 Ask a manager what they struggle with, and nine out of ten times it involves time management. The impact on productivity is why time management training is key. In fact, most managers I speak with have taken several time management training programs —or tested out several time management systems – but still have trouble making the most of their time. Sound familiar? In my early career I struggled with time management, until I crossed paths with William Oncken Jr and his superb program “Managing Management Time.” Oncken’s program provided the basis for me to change my communications and management style and this not only shifted how I used my time, it dramatically changed my life! The time management training methodology taught by Oncken was simple, yet very effective and I continue to use it daily. You see, managing your own project time is rarely the problem. It’s the unanticipated “outside influences” that throw a wrench into our best laid plans. All it takes though is a few unexpected interruptions, an underling who shows up with a problem, an impromptu meeting or delay of some type and it’s not uncommon for an entire day to disappear into oblivion. It was my mishandling of such issues that led to a feeling of overwhelm in my job. That’s why Oncken’s program was so impressive. His time management training taught me that there are four areas of influence: your boss, internal peers, your staff, and external peers (like your customers, suppliers, investors etc.). And when each area of influence is not controlled or managed efficiently, we can fall into a paradox of organizational mismanagement. The biggest challenge for managers involves delegation, and then holding those responsible for getting the work done – and on time! The trap that even seasoned managers find themselves in is solving other people’s problems. If we aren’t careful we become ensnared with doing the work of others (often of those who report to us) because of a limiting belief of “give it to me; it will be faster if I do it myself”, this instead of taking the time to manage the process of problem-solving with an employee who needs to learn. But here’s the bottom line: As a manager, your output must exceed what you can do on your own — that’s the reason for your position and pay grade. By taking on extra work, your time is spent working in your position, instead of leveraging your time and developing a subordinates ability to problem-solve. When a manager takes on other people’s work, all their doing is freeing up the subordinates time and releasing them of responsibility. And guess what happens next? Your subordinates begin checking in with the question “how’s that problem coming boss?” Time management training gives us the tools to ensure this does not happen! The next time a person leaves your office, make sure they are still the person working on the problem – not you. Empower your team to take action, ask questions such as “how do you plan to resolve this issue? What else can you suggest? Encourage your staff to think of all possible solutions, and to bring a solution(s) to you for review before implementation. Mark the follow-up meeting on your calendar with a request the person return with a solution at the agreed time. In the meantime, this article in The Harvard Business Review may interest you. Staying focused will maximize your time, think about ways you can proactively leverage your time by controlling your conversations and managing those unexpected interruptions. My memory of Bill Oncken is; “If you are doing the work of two people, chances are that one of them reports to you.” – William Oncken Jr. When it comes to decisions about how you use your time, how do you want others thinking about you?